Tyson Wakayama had been fighting a fish on his first pole for about 15 minutes when his other pole got hammered. His friend Garen Itamura urged him to switch poles because the second fish seemed bigger. Unfortunately, the bigger fish tangled the line in the reef and the guys had to play the waiting game. Eventually, Tyson risked freeing the line and got lucky. 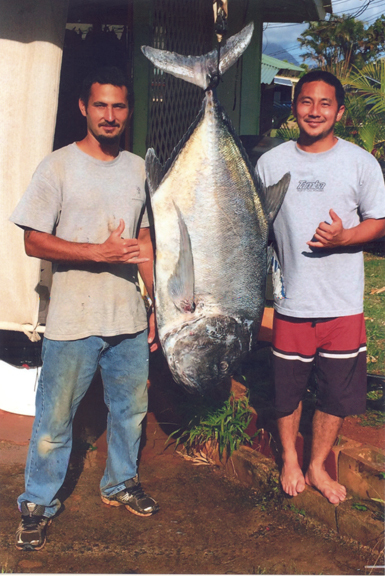 With Garen and Elliot Jung urging him on, Tyson landed the 100-lb ulua of his dreams.